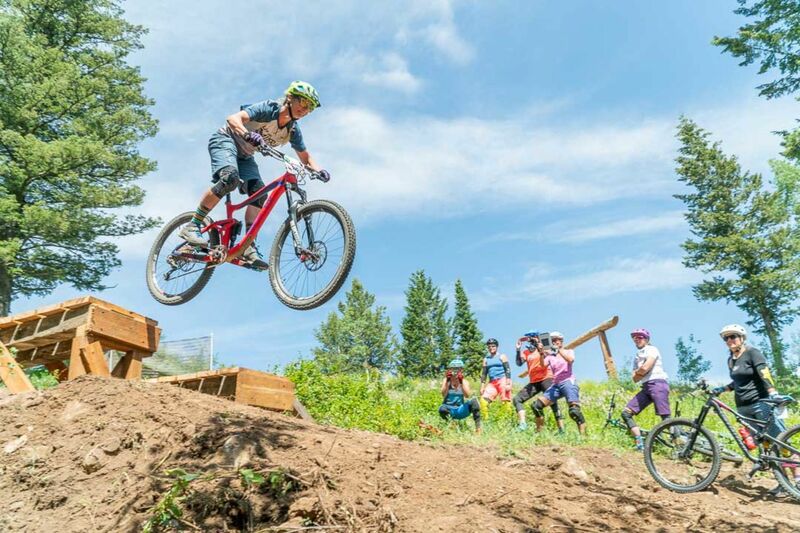 Lindsey Richter has dabbled in just about every type of mountain bike racing there is, from starting out as a cross country racer in 1995 to downhill and enduro. Now-a-days you can find her traveling the country (and beyond) pulling a trailer full of Liv mountain bikes behind her Ladies AllRide Sprinter van. As Lindsey toured around the United States, beginning in 2003, she noticed a void in female participation at mountain bike events. 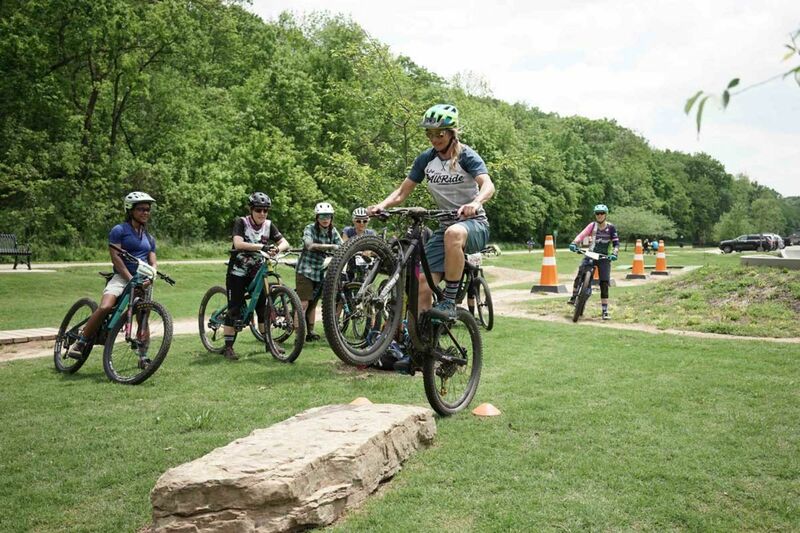 Fueled by passion, she has sought to change that as a world-renowned certified mountain bike instructor. 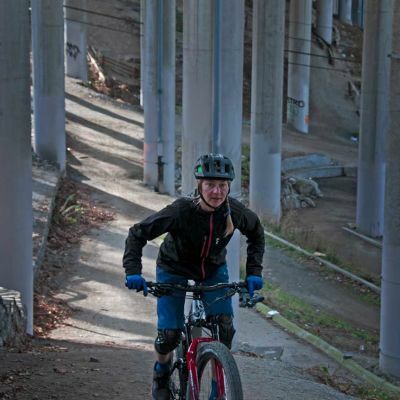 Her goal is to get more women riding bikes and, in the process, change some lives. 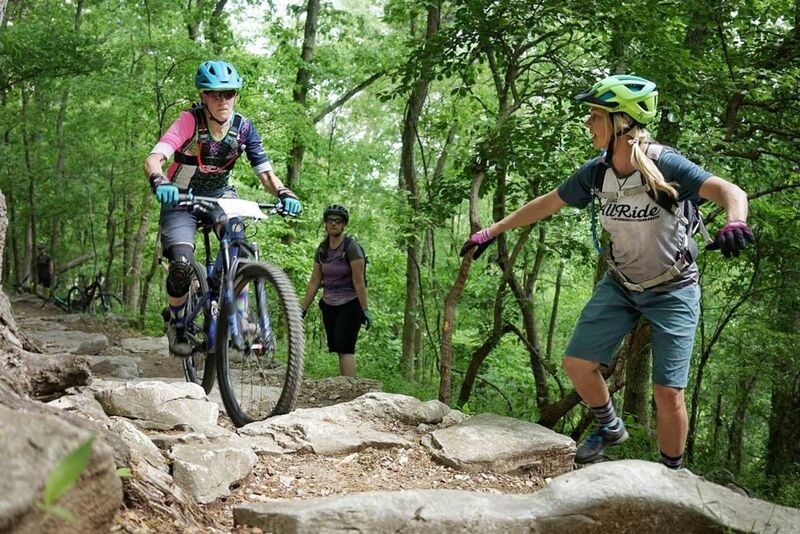 Learn more about Liv Ladies AllRide Mountain Bike Camps HERE! 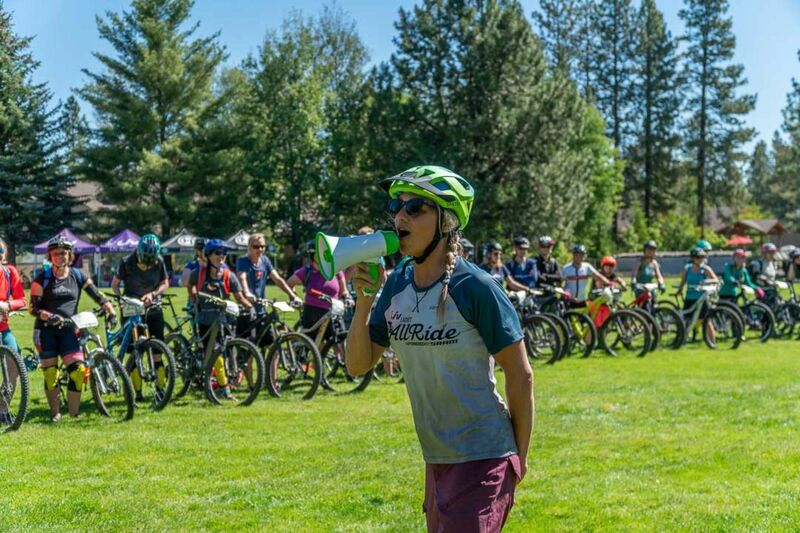 I am pretty proud to have started Ladies AllRide, a movement to inspire more women through mountain bikes. What is your biggest non-cycling achievement? I wouldn't say being on reality tv was an "achievement" but I'm lucky I was on the tv show Survivor: Africa because it led to where I am today! What is your professional goal for 2019? 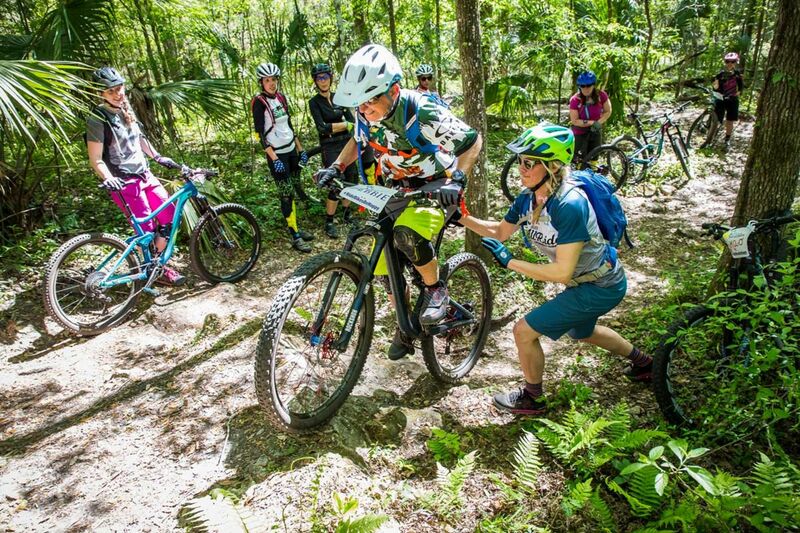 I would love to see more women who are new to mountain biking attend our camps. What do you love about cycling? I love what it does for my soul. It’s a sport that challenges me, forces me to focus, keeps me in the moment and it has helped me face and overcome fears on and off the bike. The way mountain biking parallels life is what makes it so special to me. Life can be hard and scary and when I learned to do things on a bike that were hard and scary I started realizing I was capable of much more than I ever gave myself credit for. Now I use my strengths from riding and transfer it into my life. Sometimes we just have to look ahead and keep the wheels rolling however we can. It might not always look pretty, but if the wheels are moving forward, so am I.
Liv is a brand for women, by women and there is a huge sense of community at Liv. All of us truly want to see more women inspired by the bicycle and it shows in everything we all do collectively. It's an amazing brand to be a part of! I'm grateful every single day to work with Liv. I love to travel all over. I'm always excited to see and experience new places and I can't believe how lucky I am to travel around the world with my bikes! Greens, greens, and more greens. All my girls! There are too many to name. I have so much fun with every lady I ride with... And I have fun with the boys. I just love riding with other people and hooting and hollering together! "When I'm not riding my bike, I'm ________!" Doing yoga, working on the business, snowboarding, skate skiing, listening to podcasts and TedTalks, and hanging with my dog Gracie. 1. See as many places as possible... Other than that, I feel like I'm living out my bucket list every day doing things I love. Who taught you how to ride a bike/ got you into the sport of cycling? My Dad got me into it as a teenager. I started racing because I lost my fitness in College and didn't know how to get it back. My Dad came to every race and continues to cheer me on with my cycling endeavors. Have you taught anyone how to ride a bike or introduced someone to the sport? Yes! It's what I do for a living, primarily because it feels amazing to show people what they're capable of! How do you plan to pass on your love of cycling in 2019 and beyond? Hopefully, our camps are helping people experience the benefits of cycling, as well as our social media presence. We try and inspire people with photos of women learning, inspirational stories of our personal experiences with cycling and "TeachableTuesday" posts designed to help people learn more about cycling. Mountain biking is a lot like life and attitude is a choice. Think positive thoughts that serve you, then look ahead and keep the wheels rolling.